4 miles of interesting, seemingly trout-friendly water revealed one fish, a little native brookie. A solo jumper feeding on a hatch menagerie, he was hanging in shallow, slow water. Perhaps it was the beaver dam 5 ft upriver and the confluence of a clear stream just downriver that attracted him to this lackluster spot on the Pemi. As thrilled as I was to catch and release him, I have to confess a certain sadness stuck. 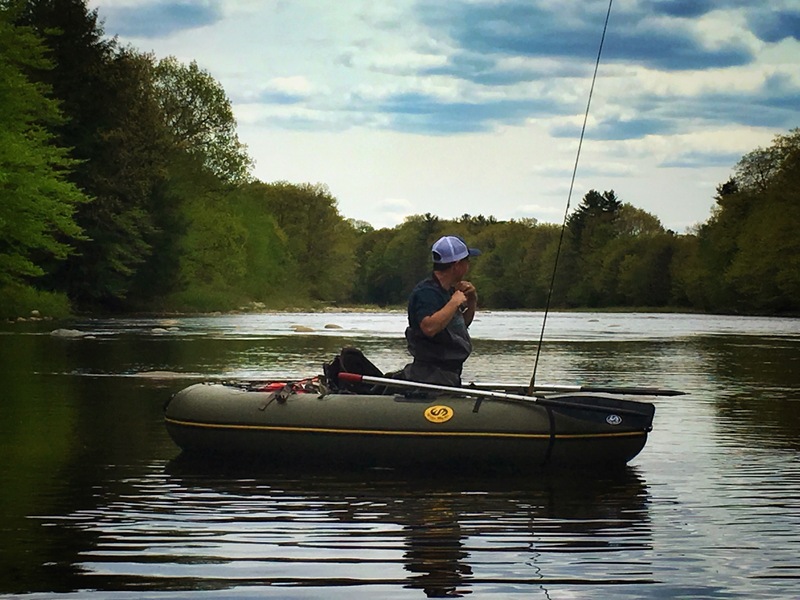 With a squadron of bugs around every bend of river, this singular trout is the reality of our trout fishery if not for the support of New Hampshire Fish and Game’s stocking program. While I am ever grateful that we have a stocking program, I am even more regretful of our impact on their habitat that prescribes such a practice. What a wonderful post. I don’t think most people are aware that the majority of fish are stocked. I’m glad you got to see that cute little guy! That fish is a trophy, despite the size. Something about catching a fish that was born in the water body that’s sooooo much more satisfying than put and take. Oh, Chris, it must be very interesting to be witness to this on the Andro. My HOPE would have been that perhaps the fact that much of the Andro is less accessible than a river like the Pemi, there would be more holdover fish and a less noticeable difference pre vs post stock. But, it sounds like you and I have been fully educated on the specialness of a native fish and just how pristine the habitat needs to be to support them. Interesting to hear about successful interventions that address the problem from a more macro perspective. A stocking program is sort of like dropping the water from helicopters while addressing the health of the habitat is akin to “building the well”…always the better longer term intervention for sustainability. Thanks for you thoughtful reply, Chris. Stephanie, I don’t think it has so much to do with fishing pressure on the Andro as it does how warm the water gets in summer. I know folks like brookies and rainbows, but I honestly think browns would be better in this river, or some other species that could be introduced and thrive, and wouldn’t need to be replenished every year. I fish a lot in a Scadden pontoon, similar to your boat, but horseshoe shaped, and I hit all the out of the way places, mile after mile… and the fishing is really no better in the more remote before the stock trucks get here. You’ll hit a fish here and there, but it’s not uncommon to fish hard for a few miles, seeing a trillion bugs floating by, and not having a bite. I’ve had numerous people tell me I’m full of beans, and how the Andro is a very good trout fishery, but none of them spend any significant fraction of the time I do actually fishing it. Granted, I’m no Curt Gowdy, but I have some idea what I’m doing. 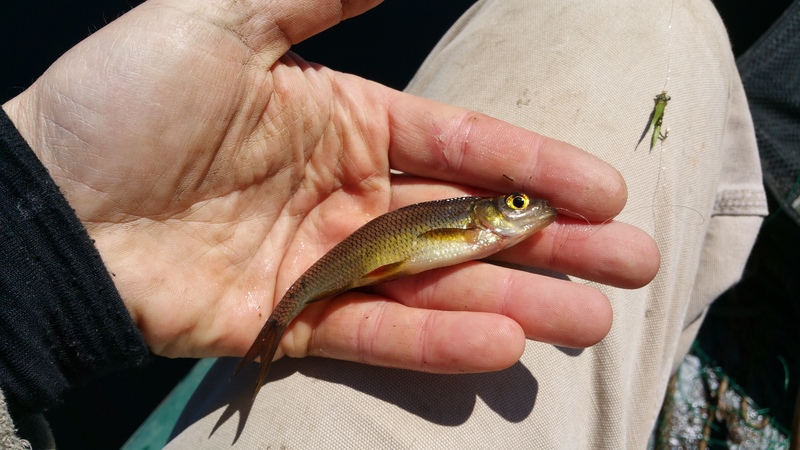 Anyhow, I just wish for a more naturally sustaining fishery or some sort… even if it’s not the pretty cold water species most fly guys dream about. I don’t think it has so much to do with fishing pressure on the Andro as it does how warm the water gets in summer. I know folks like brookies and rainbows, but I honestly think browns would be better in this river, or some other species that could thrive, and wouldn’t need to be replenished every year. I fish a lot in a Scadden pontoon, similar to your boat, but horseshoe shaped, and I hit all the out of the way places, mile after mile… and the fishing is really no better more remote before the stock trucks get here. I’ve had numerous people tell me I’m full of beans, and how the Andro is a very good trout fishery, but none of them spend any significant fraction of the time I do actually fishing it. Apologies if I submitted multiple of the same message. First one didn’t show up, so I tried again. Then second one didn’t show up either… lol I give up.